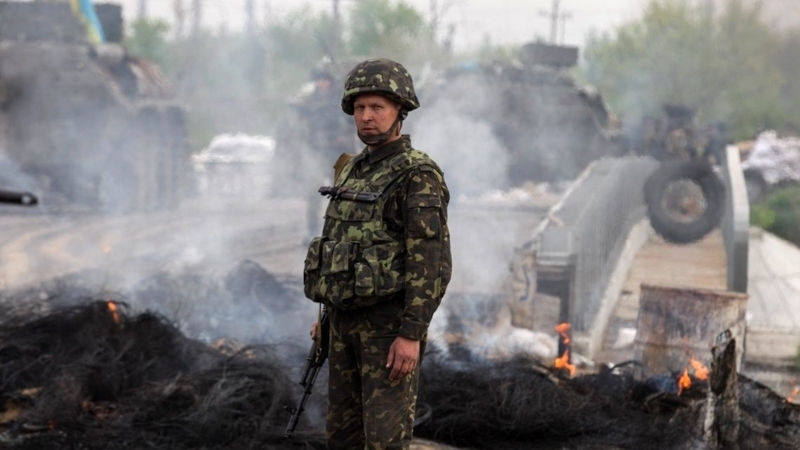 During the past day of June 20, the militants of terrorist groups in the Donbas violated the regime of silence 30 times, as a result of which three Ukrainian servicemen were injured, the press center of the Joined Forces Operation (OOS) headquarters reported on Facebook. “Over the past day, June 20, the Russian-occupation troops violated the ceasefire regime 30 times, artillery and mortars were used in 6 cases. During the fighting, three of our servicemen were injured," reads the report. On the Luhansk direction, the militants opened fire from artillery and small arms near Novotoshkivske and Zolote settlements. Earlier, on June 19 militants violated the regime of silence 26 times, prohibited weapons were used in 3 cases. As a result, three Ukrainian servicemen were injured. Ukrainian President Petro Poroshenko said that the EOS is more effective than the Anti-Terrorist Operation (ATO). The Head of state noted that the Donbas will never be Russian.